...The best father a child could ask for. I'll never be the same. They told me that my child was sick. I thought "am I to blame?" I'm really not that strong. I've loved her for so long. Will she need a lot of therapy? Will she gain the needed weight? I will accept our fate. I bend down and kiss her head. I look to you, wondering why? by my heart begs "please let her stay!!" a good night's sleep, to learning every med. just as he loved her from the start. angels in heaven, our hearts share in all of your tears. Ok so I will start with a major apology! It has been almost 8 whole months since I posted anything. I am going to try to update at least once a month from here on out but please do not hold me to it. By the time I get off work, pick Ryan up from school, come home and eat dinner............EXHAUSTED!!!! Let's see here.......gotta think back a while! I'm sure you probably don't remember but Ryan was sick A LOT last year! She constantly had a sinus infection and it never got better. After SEVERAL months of being sick and seeing the doc 13 times in 7 months, they finally figure it out. 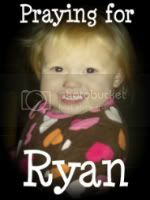 She went back to her ENT doc and he requested a CT scan of Ryan's face. (WHAT???) That's what I thought too! Turned out, every single sinus cavity and pocket in her face was filled with infection! YUCK!! Her adenoids were also HUGE! So, Ryan was scheduled for surgery on November 19. Before she could have the surgery, she had to see Cardiology of course......AND.....her heart is STABLE!!!! There has been no progression. THANK GOD! Dr. Hor approved her procedure. The surgery she had was an adenoidectomy (removal of adenoids) and a sinus wash out. The adenoid part was fine and no big deal, but the wash out sounded pretty painful! They had to fill BIG syringes with salt water, and then attach a skinny but long tube to the end of it. The tubes got stuck up her nose and pushed into her face in the cheek area where the sinuses are located. They then pushed the salt water in, then sucked the syringe back out! BLAH GROSS! They repeated this several times. The total time was about an hour and it worked wonders! She has gotten sick since then, but now the infection is able to drain out on it's own. The recovery wasn't so great. She had nosebleeds for 3 days and 2 black eyes from the tubes in her face. Seeing her like that was pretty difficult. It looked like somebody beat her up. Not a nice vision. It was worth it though because now she is better. A few big events have taken place since the last post...2 of them being pretty recent. Ryan is now 3 YEARS OLD!!!! That's right! She turned 3 on December 13th and I'm pretty sure this year, she is going to be about 17 or so! The things she says just amaze me! (that's not always a good thing!) Pics of the BIG 3 YEAR OLD BELOW!!! As you can see, she had a BLAST!! And spongebob had to come too her party to! HAHA. I really cannot believe she is 3 already! TIME FLIES! She got tons of stuff for her birthday and loved it all! She was in total shock when she woke up Christmas morning and saw the very thing that she had talked about for 2 whole months! It came with a ton of food and everything! She must have been such a good little girl last year! Ryan is doing great in school also! She can count to ten and knows all of her colors!!! (in sign language too!) She is so smart that it just blows my mind! She has been very sweet lately to. A few weeks ago she told me "Mommy, you are the best mommy ever!!!" TOO CUTE!!! and she calls me her "snugglebums" LOL. It just melts my heart! Surprisingly, we really don't have anything new going on other than the stuff I mentioned. I will try to post more often!!! And hopefully soon I can muster up the energy to add more pics! I am also planning on trying to catch up on what has been going on with everyone else to. I'm so glad surgery was a success! I cannot get over how much she's grown! Prayers for good health and joy! 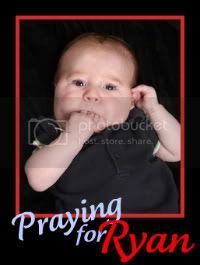 Ryan was born on December 13, 2007. 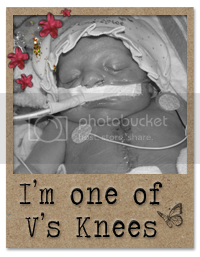 When she was a month old she was diagnosed with Pulmonary Stenosis. 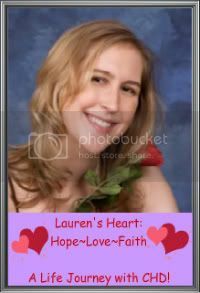 In January of 2009, she had a balloon valvuloplasty that was unsuccessful and she now awaits open heart surgery. 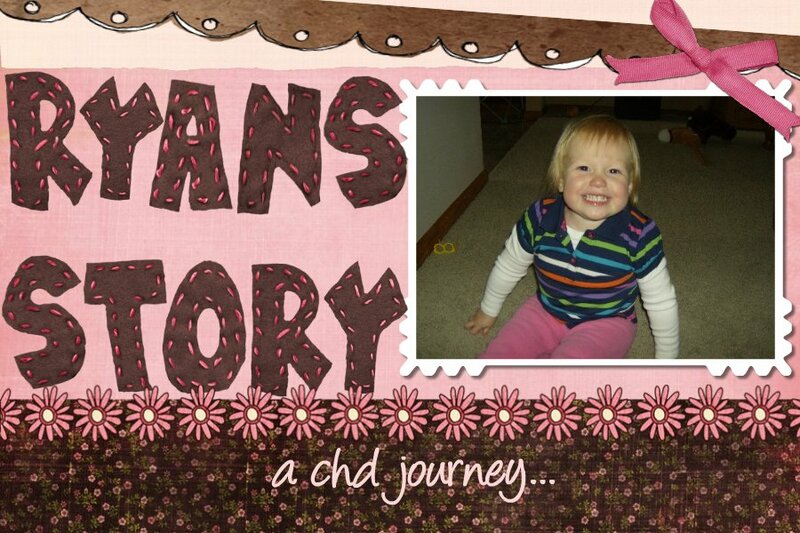 Being the mother of a CHD child is challenging but I wouldn't want Ryan to be any other way. 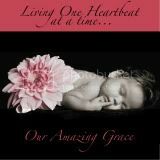 She is a blessing in my life and I am truly honored to be her heart mom. My name is Alisha Edmonds. I am the mother of Ryan Sue Sweeney, a heart baby. When Ryan was diagnosed with Pulmonary Stenosis I knew my life would never be the same. It's been a roller coaster ride ever since then but I love being a heart mom. It has taught me so much about the true meaning of life and just how precious it really is.